Sandra Sinnott was diagnosed with MS just after her 30th birthday. She shares her story with us about the initial devastating impact of receiving this diagnosis and the range of emotions that she went through, especially as she realized that MS is a long term illness, one that needs to be monitored and managed for the rest of her life. But it was when she joined Elaine for MS physio classes, in St. James’s Hospital, that she began to feel fitter and stronger, both physically and mentally. The class participants have become a natural support group and Sandra is helping our physiotherapists to raise much needed funds, by taking on our a big challenge by participating in the St James’s Hospital Cycle, in Wicklow, on 21 May. Sandra wants to see more equipment made available for physiotherapists and patients, and enable ongoing investment into physiotherapy classes at St James’s Hospital. 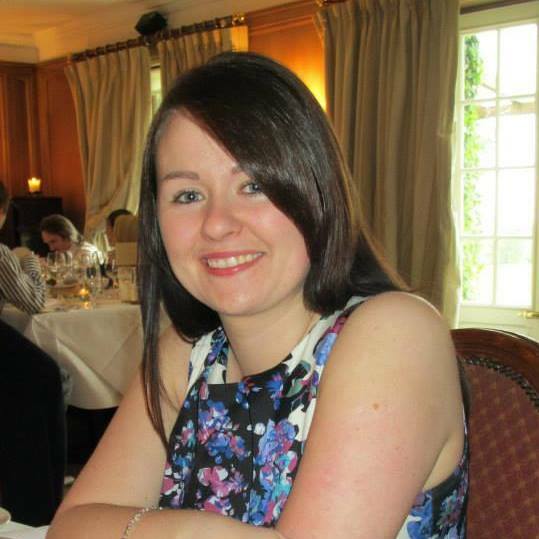 “I was diagnosed with MS in April 2013, just weeks after my 30th birthday. I had woken up one morning in February 2013 to find my hand was numb, as if I had fallen asleep on it and gotten pins and needles only they would not go away. After a week or two the feeling started travelling up my arm and down my side so I saw a GP. I was referred to St James’s and 6 days and a number of tests later I was released. I was fairly certain from the tests I had and what I was hearing that it was MS, but the diagnosis itself didn’t come until 2 months later. Those two months were very hard, I kept the possible news to myself and my partner as I didn’t want to tell anyone else until it was confirmed. I was not fun to be around for those 2 months and while I was waiting, the symptoms worsened. It was to date the worst relapse in symptoms I have had. When I got the official diagnosis, I was almost relieved. At least now I had an answer and I could just deal with it. Telling my family and friends was the worst thing I have ever had to do in my life. Breaking bad news to people you love is utterly heart-breaking, even worse when you have absolutely no control over it. Even though it wasn’t my fault, I still felt guilty for the bad news I was delivering to them. The one moment it hit me the most at that time was walking into the hospital to meet the MS nurse. I realised then that I would be there at least every 6 months for the rest of my life, I had something that could only be monitored and managed. I never thought that at 30 years old I would be in this position. That I would have something they call a long term illness. Within a few months of the diagnosis, I was referred to Elaine in the physiotherapy department. This turned out to be life changing for me. After an initial assessment, I was invited to join MS physiotherapy classes to help me with balance, coordination and general fitness. By the end of the first 8 week course, I felt fitter and stronger, both physically and mentally. I was given a program of exercise to follow after the classes so I could continue to progress myself and have since taken part in further courses. The courses also gave me the opportunity to meet other people with MS as I did not know anyone else with the condition. I’m fortunate now to have a lovely group of friends who I continue to meet during the year when the classes are not on. They have become a fantastic support system for me and I would be lost without them. I am taking part in the cycle as I want to do something to help the department that has done so much for me. The classes I have attended have made a huge difference in how I am managing my MS and I know they could do even more to help me and others if they had the funds to invest in things like new equipment. They do the best they can with what they have, but I would love to be able to contribute towards making it even better. It is also a great challenge for me personally, and something I would not have been able to even think about doing without the support I have been given by the physio department. With MS I find the scariest thing is the unpredictability of it, I could be lucky and have little or no symptoms for the rest of my life, they could get a bit worse, they could get far worse though I hope that will never be the case.